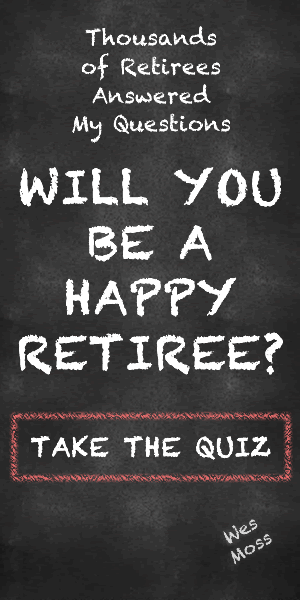 Over the years, I’ve done tons of research to determine what makes for a happy retirement. It turns out that post-career satisfaction hinges on many factors, big and small — including what type of car you drive in retirement. Happy retirees don’t drive clunkers, but they generally don’t drive the newest hotrod car either. In researching my book, You Can Retire Sooner Than You Think, I found that if you’re a retiree cruising around in a BMW, chances are that you’re not as happy as you could be. My survey results showed that BMWs are the top luxury car in unhappy retirees’ garages across the country. Why? My guess is that these folks bought that Beemer to boost their status or maybe keep up with the Joneses. But in purchasing this high-end vehicle, they signed up for additional financial burdens that could diminish their ability to partake in the real joys of retirement. A high-end luxury car can be costly even after you’ve paid that exorbitant sticker price. Enter maintenance costs. These extras are too often overlooked when we shop for automobiles. Oil changes, alignments, and brake jobs can put a dent in your monthly budget. And let’s not forget about those surprise major repairs that crop up. In talking with retirees, I discovered that the happiest among the bunch typically own cars with relatively low maintenance costs. This isn’t to say that you have to sacrifice driving a “cool” car in your retirement years because you are budget conscious. My research shows that happy retirees are just sensible when it comes to the overall cost of owning a car. They shy away from the giant financial surprises that can come with European performance cars. Happy retirees tend to lean towards Asian and U.S. brands. It’s not uncommon for the “millionaire next door” family to drive a Toyota Avalon, Land Cruiser, or Highlander, or a Honda Fit or Pilot. Are there glitzier cars out there made by some of the European brands? Sure there are. Mercedes, Fiat, and Porsche still make flashy rides. But, the happiest retirees prioritize travel, vacations, and life experience. They don’t want car maintenance cost to unexpectedly get in their way. Driving more reliable or practical cars makes financial sense for happy retirees. And it also speaks to the priorities happy retirees place on other areas of their discretionary budget. Lower car maintenance costs equal more time with grandkids and trips to the beach. So do happy retirees drive luxury cars at all? Absolutely. Driving a high-end vehicle doesn’t spell unhappiness. But the happiest retirees prefer Asian luxury brands by a three-to-one ratio. These folks are looking for two things: comfort and cushion. Anything beyond is just a well-polished money guzzler. If you’re in the market for a car, consider the rankings of average 10-year maintenance costs prepared by YourMechanic.com. Back to BMWs, the brand has the highest cost for upkeep, coming in at $17,800 for 10 years. Following close behind are several other European luxury brands. KIA, seemingly a budget vehicle, comes in at 1.3 times the average cost of upkeep. Folks shouldn’t be shocked to learn Toyota has the lowest cost at only $5,500 for a 10-year span. And this figure is in line with the brand’s well-deserved reputation for providing durable, dependable vehicles. It’s not uncommon for 4Runner drivers to brag about still going strong after hitting the 200,000-mile mark. Over the years, many Asian car manufacturers have proven themselves to be reliable automakers. The bottom line is that happy retirees own cars with longevity and low maintenance costs. Keep your future happiness in mind before hitting the car lots.